"I find the Ultimate Workout and Recovery System perfect for anyone rehabbing or confined to a bed or wheelchair. So many muscles can be worked with this system, along with cardio, to keep patients active and tone. It’s a wonderful and innovative system." The Triple F workouts are designed to meet everyone's needs. Whether you are a seasoned fitness warrior or just starting out, Firefighter Fitness has something for you. Our core philosophy incorporates building muscle stamina which allows your muscles to work harder for longer periods of time. These workouts range from beginning levels to advanced training sessions where everything is modified for your individual needs. 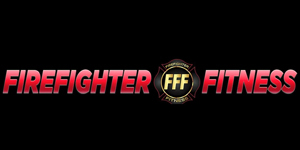 Click Here for view video about FFF Firefighter Fitness.